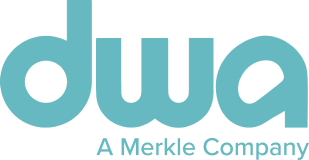 DWA is part of Merkle, a leading data-driven, technology-enabled, global performance marketing agency that specializes in the delivery of unique, personalized customer experiences across platforms and devices. For more than 30 years, Fortune 1000 companies and leading nonprofit organizations have partnered with Merkle to maximize the value of their customer portfolios. The agency's heritage in data, technology, and analytics forms the foundation for its unmatched skills in understanding consumer insights that drive people-based marketing strategies. Its combined strengths in performance media, customer experience, customer relationship management, loyalty, and enterprise marketing technology drive improved marketing results and competitive advantage. With 5,500 employees, Merkle is headquartered in Columbia, Maryland, with 24 additional offices in the US and 25 offices in Europe and APAC. In 2016, the agency joined the Dentsu Aegis Network. We are looking for a highly qualified analytics professional with experience optimizing multiple digital marketing channels, as well as leading projects/associates to greatness. The Media Analytics Manager is focused on supporting our digital media business (PPC, video, display, paid social). The position will be providing analytic direction on strategic accounts, with a focus on client engagement and guiding associates to improve our clients’ digital marketing programs. The Media Analytics Manager will serve as a primary point of contact between many of our clients and stakeholders, managing and enhancing our clients' digital measurement. They will also be part of a growing, multifaceted analytics team that develops advanced analytic solutions for top companies in the tech industry. Foundational experience with mobile and video advertising in paid social and display. Exposure to Facebook and Google digital media platforms desirable.